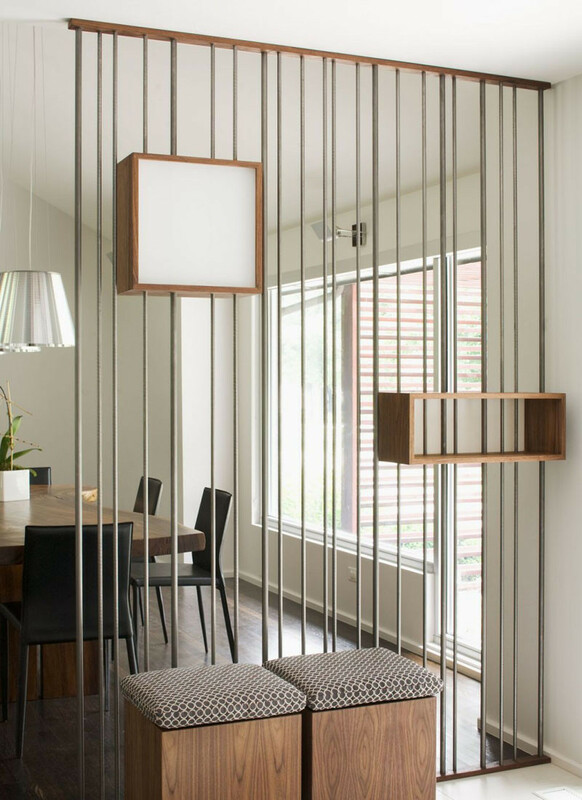 Here’s a creative idea for a space divider, that was done as part of a home renovation, designed by Hufft Projects. 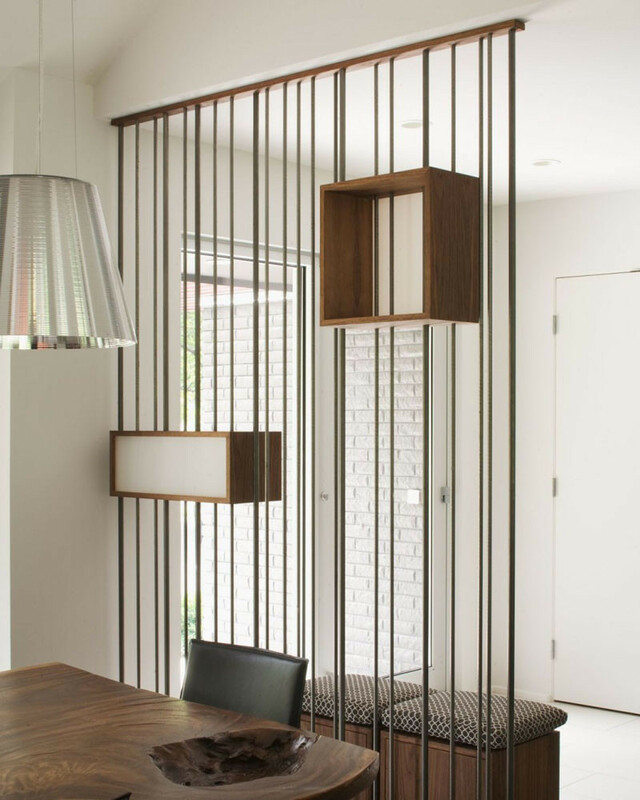 Instead of having a solid wall between the entry way and the dining room, they included a partition made of metal rods. 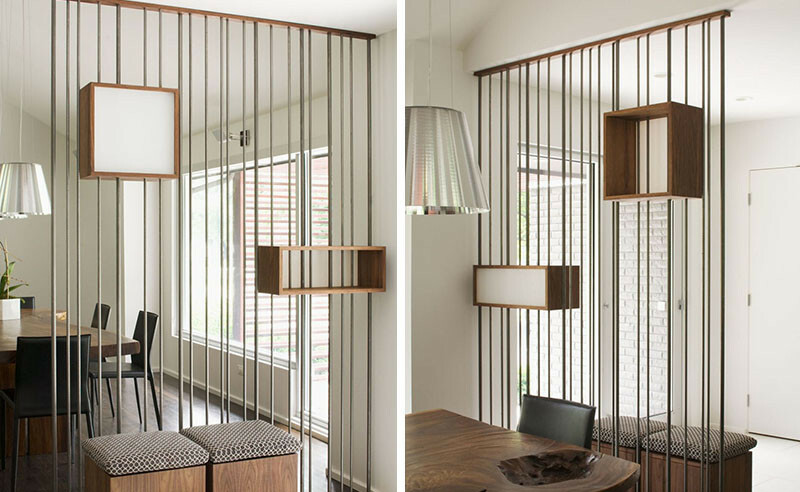 This effectively divides the space, but still allows it to feel open and not closed off. To break up the rods and add a bit of interest, they included a couple of suspended boxes, each open on one side.